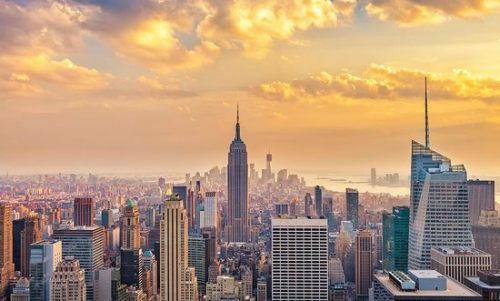 Air Canada and Delta are battling it out for low prices from Saskatoon to New York City in spring 2016, with flight prices down to $373 CAD roundtrip including taxes. The flights fly in and out of New York's LaGuardia airport (LGA). 2. For the Delta flights, you should be able to click through right from Google Flights to the Delta website for booking. saskatoon, yxe, flight deals, air canada, united states, new york city, delta, new york, north america and lga. 4 Responses to "Saskatoon to New York City - $373 CAD roundtrip including taxes"
Hey Experts - I am looking a cheaper flight from Saskatoon(YXE) to see this amzing place Saint Martin(Airport code SXM) - I heard Sint Martin is World's Wildest Plane Spotting location...2 Adult ? Hey Mahesh! Yep, that's the place where the planes appear to land nearly right on the beach. You may want to try asking the Facebook group. It's not the easiest place to get from Saskatoon. I checked connection thru YYZ-but with hotel cost is very high. we are family of four(2 adult + 2 kids) - will wait till find something via US. Yes, I think finding reasonably priced accommodations on Saint Martin will always be a challenge. You may want to look at AirBNB, to see what's available, and then just book it separately with the flight.